We’d love to hear from you about any towpath topic – however unusual – because it’s your views that matter. We welcome your pictures, too – but let us know if you want them returned. towpathtalk.co.uk is a trading name of Mortons Media Group Ltd, and is a company registered in England and Wales with company number 3676192. 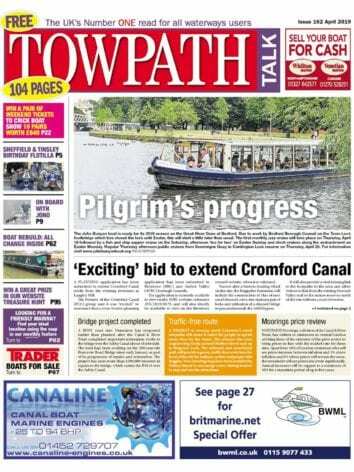 Towpath Talk is printed by Mortons Print who offer award-winning web offset newspaper printing using the latest technology to ensure your publication is produced to the highest quality. Specialists in tabloid, quarter-fold, broadsheet and special sizes, our skilled team ensure excellent reproduction of images using computer-to-plate technology.